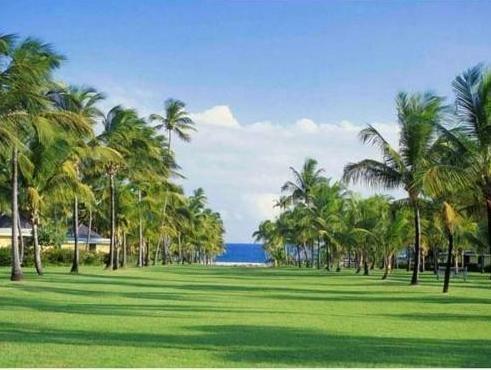 ﻿ Best Price on Nisbet Plantation Beach Club in New Castle + Reviews! In a beautiful setting on Nisbet Beach and next to Newcastle Bay, Nisbet Plantation Beach Club features an outdoor swimming pool with Caribbean Sea views. It has spacious rooms, a spa and 3 restaurants. Each room and suite at Nisbet Plantation Beach Club has bright, Caribbean-style décor with wood finishes and ceiling fans. There is free Wi-Fi, a coffee maker and a safe in all rooms. The Great House Restaurant dates back to the late 18th century and serves gourmet cuisine, as well as afternoon tea. Coconuts serves a made-to-order breakfast and there is a weekly seafood barbecue dinner on its terrace. Sea Breeze has lunch and cocktails on the beach. Meals are not included in the room rate. The Palm Spa offers a range of treatments including wraps, massage, facials and manicures. There is also a fitness center, a tennis court and a croquet lawn. Vespa scooters, digital video cameras and hiking GPS devices can be rented at the front desk.